Our good friends Erika and Julian got married last year, and had so many beautiful little details! 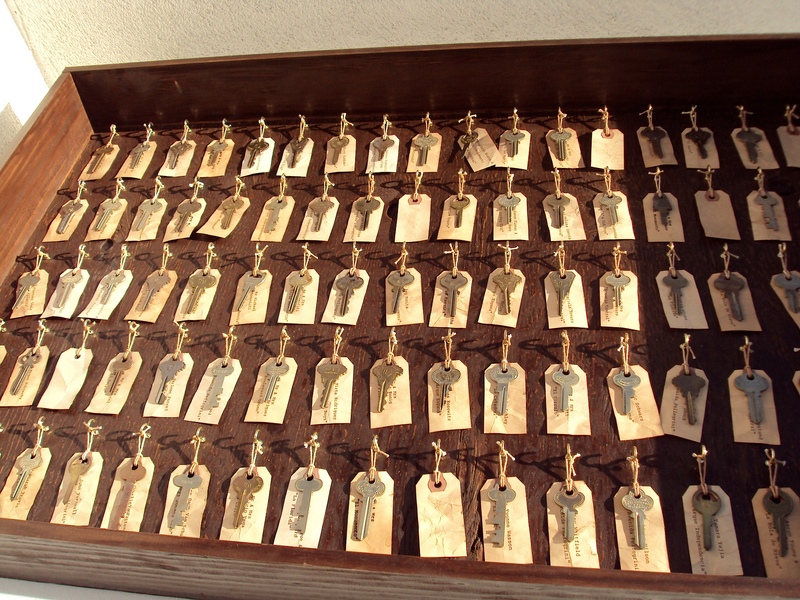 Here’s my favorite: They got married in a little plaza from an old hotel in downtown Fullerton, so they decided to have keys for each guest. Get it? Like a key to a room in the hotel! 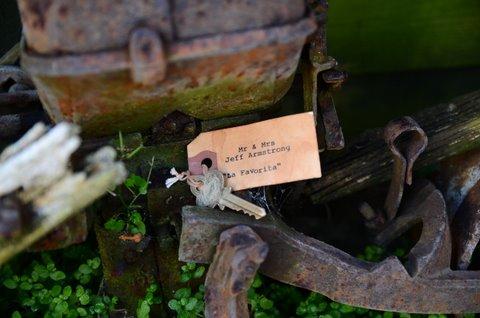 Everything was handmade, minus the keys, obviously. From what Erika told me, they spent a lot of time and effort in making the box look as beautiful as it does. 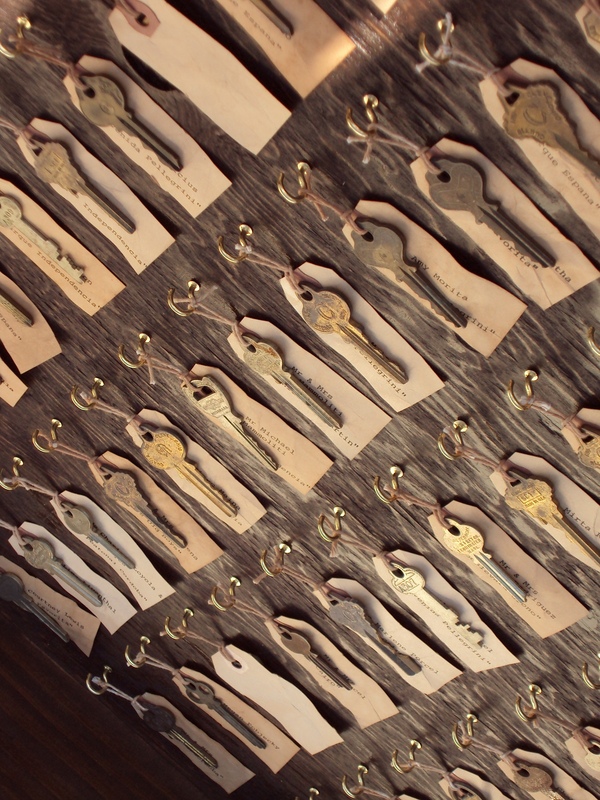 They bought the keys at random antique stores, and I was lucky enough to be able to pick my own…which I still have. The actual tags where made by bending them up a bit, letting them soak in the sun with black tea, and then using an old school typewriter to type the name and table designation. I love this idea….so cute!